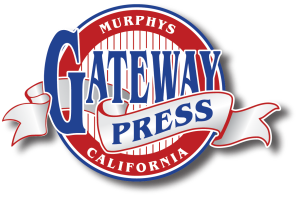 Marc has been with Gateway Press since July 1994. He runs the "Clam Shell" (22" x 28") press. He also trains personnel on the "Sam" (4' x 4') press, the "Bob" (4' x 10') press, and all the proccesses of reclaiming screens. 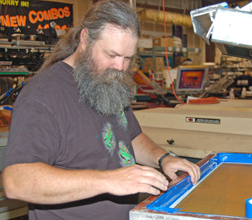 He is a true artist at producing museum quality decals and signage on his press. He is a "Major Press Technician" in figuring out how to print all the screen print challenges presented to us by clients!